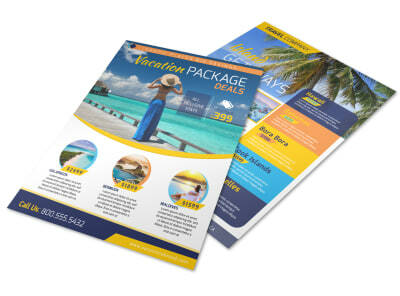 Customize our Modern Travel Vacation Packages Flyer Template and more! 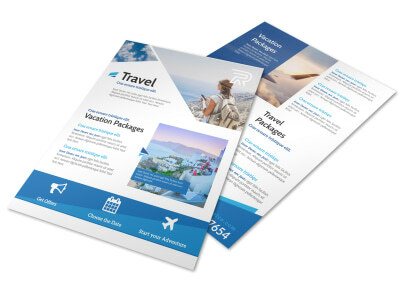 Have members of your mailing list dreaming about their next trip with this handsome flyer. 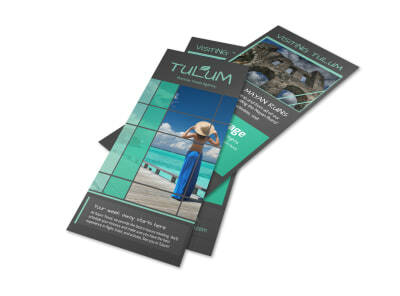 This modish travel flyer is completely customizable with details of your vacation package. Use our editor to change the text, photos and other elements to really drive home your message. 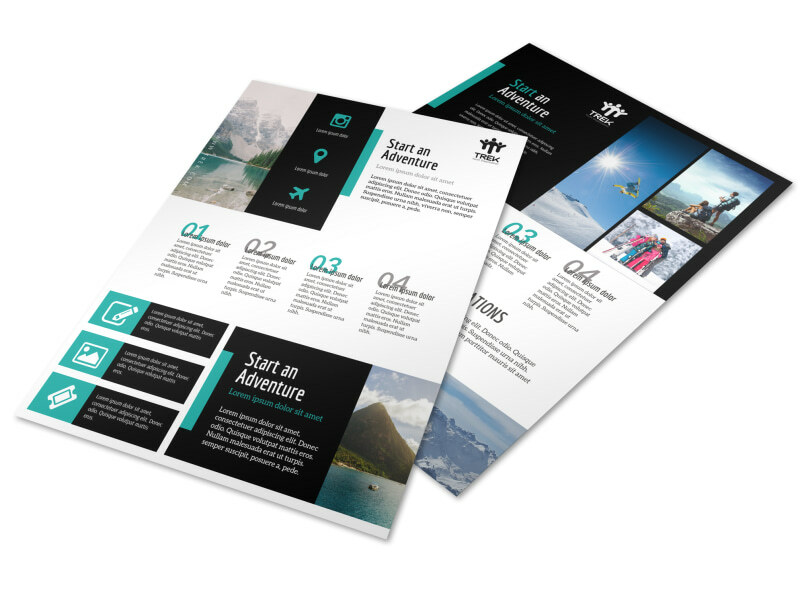 Begin designing your flyer now!